Finding the time to bake dessert for the whole family sometimes seems impossible. A lot of recipes require hours of combined prep and baking time, which just isn’t practical when your life is busy, busy, busy. As the days warm up and summer approaches, heating up the house with the oven doesn’t seem that appealing either. Luckily, there are plenty of easy and delicious no-bake desserts that will satisfy you and your family’s sweet tooth in a jiffy. 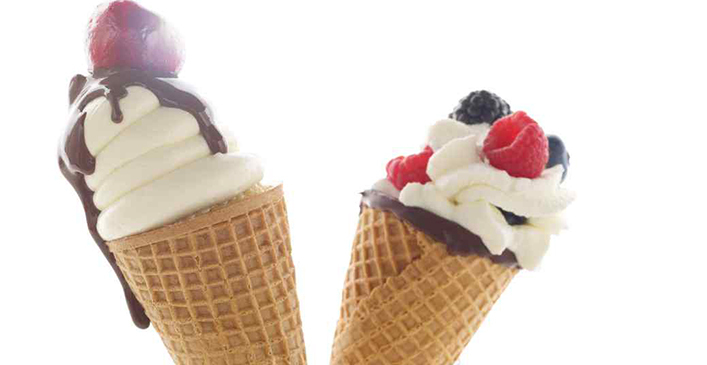 For a fun twist on this classic Italian dessert, try using ice cream waffle cones instead of fried dough for the shells. Dip the rim of the cone in melted chocolate and sprinkle with crushed pistachios. Then mix ricotta, sugar, Marsala wine, vanilla seeds, candied orange peel and chocolate chips, and pipe the filling into cones.